put this picture up as my desktop background, and on first look people ask me which city is this? guesses pan the world from singapore to new york. only on taking a closer look do people realise its mumbai. the city's skyline can be as stunning as that of any metropolis. one just has to probably just dig around a bit more for spectacular sights. mumbai has its own unique character, its about time the powers that be stop harbouring shanghai dreams. pic shot at girgaon (yet again!). 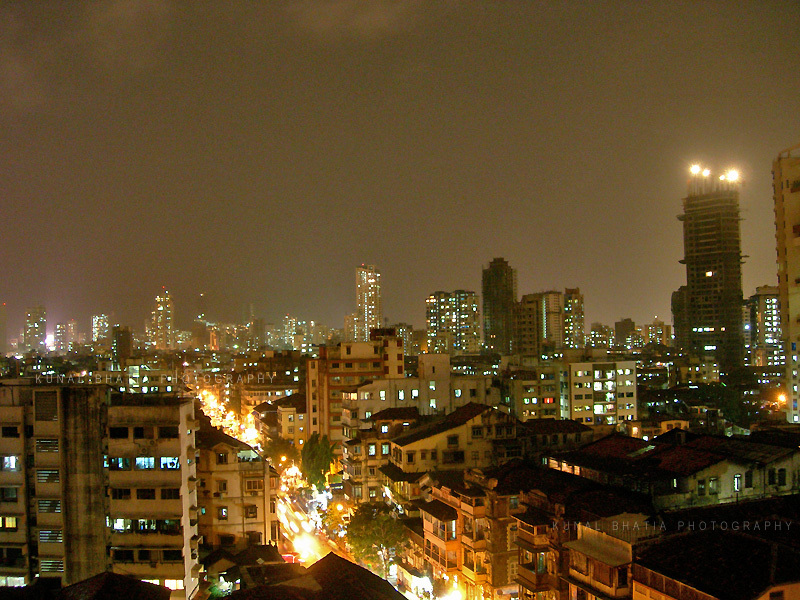 taken northwards, in the foreground is the inner city area, in the background are the upcoming high rises of central mumbai. hey...nice work kunal...a very good way of presening mumbai to those who hv been in mumbai since years n still know very little abt it...n hey...gr8 photography too....specially this one...showing the ancient chawls...then the old buildings n finlly in the background...the spyscrapers....!